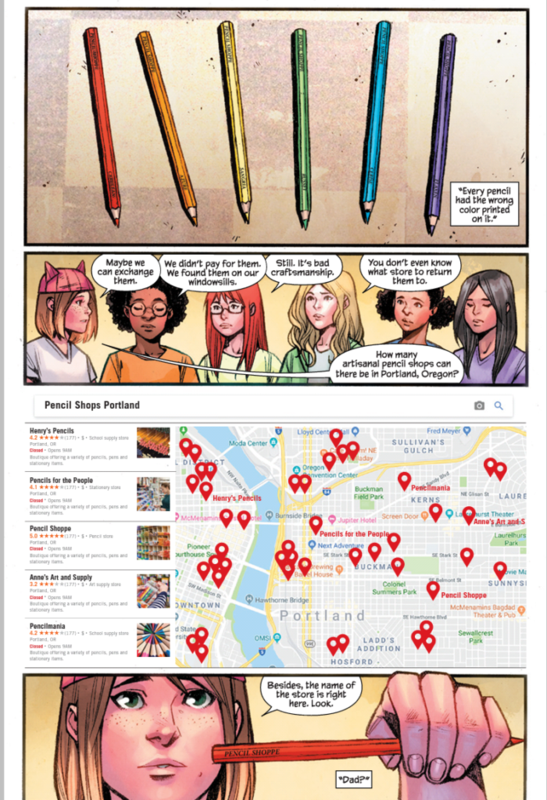 This week on “Previously On,” I see successful new perspectives told in 3 Image Comics series, and shout the praises of annotations in comics. I like comics (and entertainment in general) that put me outside my comfort zone, challenge my understanding of the world, and simultaneously wow me with writing, art, and design. Perhaps more simply, the intersection where story and education meet is often fertile ground for memorable comics. I think of books like From Hell, Maus, and My Favorite Thing Is Monsters, all among my favorite comics of all time, and all comics that help inform my understanding of the world and people around me. Doing some Image Comics catching-up recently, I effectively ran in to three unique series that fit this bill: Man-Eaters by Chelsea Cain and Kate Niemcyzk, Bitter Root by David F. Walker, Chuck Brown and Sanford Greene, and Jook Joint by Tee Franklin and Alitha Martinez. Importantly, these comics represent collaborations where challenging themes and storytelling amount to something greater. There are plenty of examples where a book’s apparent “importance” doesn’t measure up to the quality (for example, as much as I love the character, and the representation, I didn’t think Marvel’s America ever measured up to the potential). As a result, I always find it exciting when new titles rise to this challenge, and deliver both perspectives and comic craft in equal measure. Perhaps unsurprisingly, all three series are driven by women & P.O.C. creators. 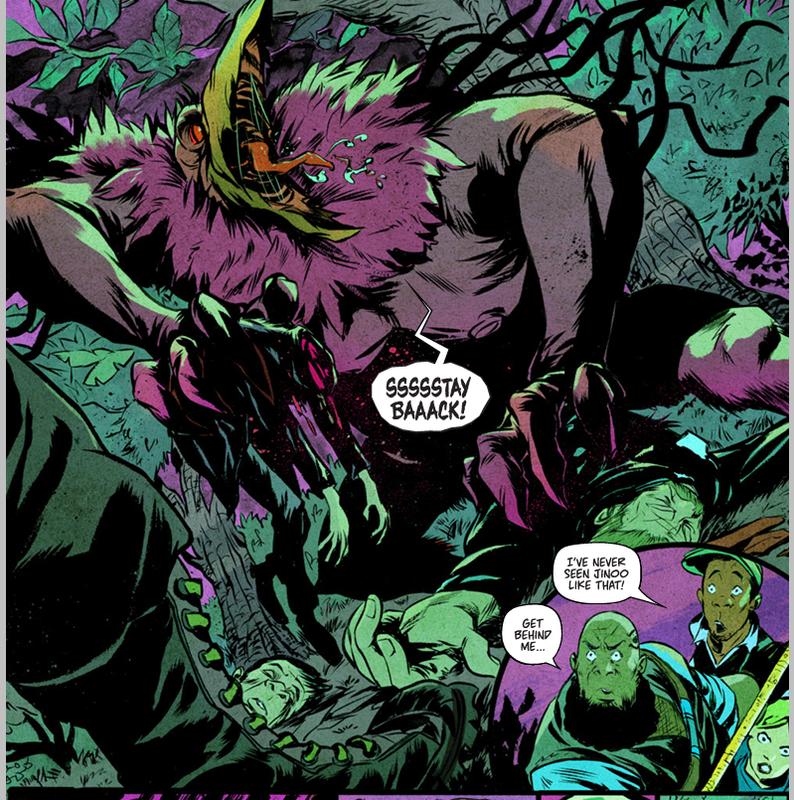 Broadly, Man-Eaters is hilarious satire, Bitter Root is supernatural fantasy, and Jook Joint was (as I learned while writing and looking for the next issue, the series has been cancelled after two issues, reportedly due to scheduling concerns) supernatural revenge horror. More specifically, the books tackle feminism, racism, and sexual assault. All offer insights and storytelling structure worth exploring. Man-Eaters is my favorite of the bunch, easily living up to my high expectations for a Cain and Niemczyk production after their excellent work on Marvel’s short-lived Mockingbird. The premise is a world where the onset of menstruation can lead to teenage girls literally turning in to ferocious panthers, and the execution is essentially popping wheelies on toxic masculinity. As someone who has spent a surprising amount of day-job time reflecting on the stigma of periods, I particularly love how Cain and Niemczyk highlight the absurdity of this fear. Both Bitter Root and Jook Joint wear their focal points more vulnerably out in the open (and significantly less masked with humor), even including scholarly essays about the book’s themes as part of the comics backmatter. I have to admit, while reading a comic, I’m often not in a mindset conducive to professorial jargon, but Bitter Root and Jook Joint make the transition essential to the journey. Part of learning is listening, and as such it becomes imperative to hear from the knowledgeable experts in the field. As Bitter Root is quite literally about racism turning Americans into monsters, the metaphor is worn openly and without shame. David F. Walker’s work tackling inner city violence and racism in Chicago during his time with Ramon Villalobos on Marvel’s Nighthawk had me eager to see what Bitter Root could do, and alongside Brown and Greene, Walker’s more direct here than ever. It’s the fight against racism personified, and it works. Bitter Root can be a difficult read, as can Jook Joint (the unfortunately cancelled series begins with a clear-eyed trigger warning). Of course, it should be frustrating and upsetting to witness minorities oppressed and abused. Exposure to the realities of these issues, here packaged in the form of familiar comic book styling, is a valuable learning in and of itself. I don’t pretend to play the role of expert in any of these areas, and as such they shape my understanding, and hopefully the understanding of many others. Complicated socio-political topics don’t translate easily into compelling fiction, which makes the success of these comics all the more impressive. While the reads may at times be challenging or uncomfortable, they also signify to me so much of the value of the medium, and what the future holds in store. I’ve long been a fan and advocate for editorial footnotes referencing specific issues and storylines readers can dig up to understand ongoing storylines. 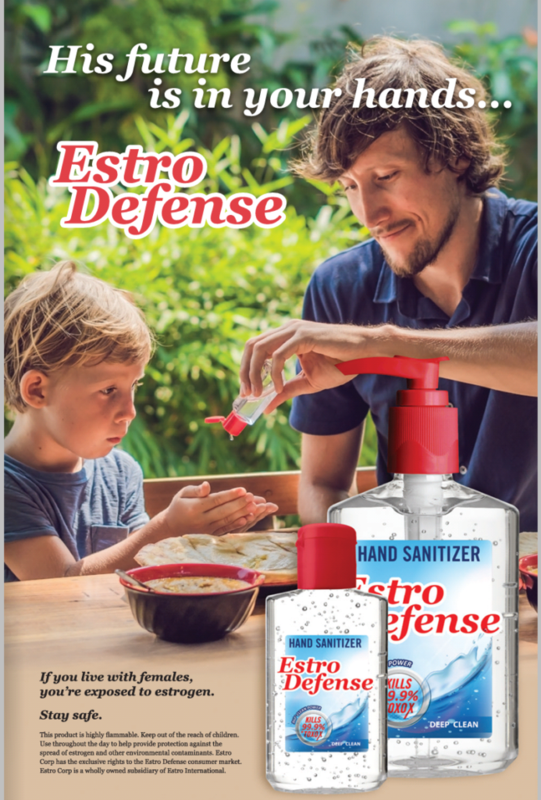 It’s a long-running comic book trope that ebbs and flows throughout the superhero genre, but I’m always in favor of the efforts to help onboard newer readers. With that in mind, I have to share how much I love the ending annotations and reference points in X-Men Grand Design ! For those unfamiliar, the over-sized X-Men history by cartoonist Ed Piskor attempts to wrangle the murky waters of mutant continuity and neatly consolidate for new and old fans alike. It’s an impressive, compelling adventure in superhero history by Piskor (whose work on Hip Hop Family Tree is some of my favorite in comics), and best of all, each issue ends with a complete guide to “source issues” covered in Grand Design. 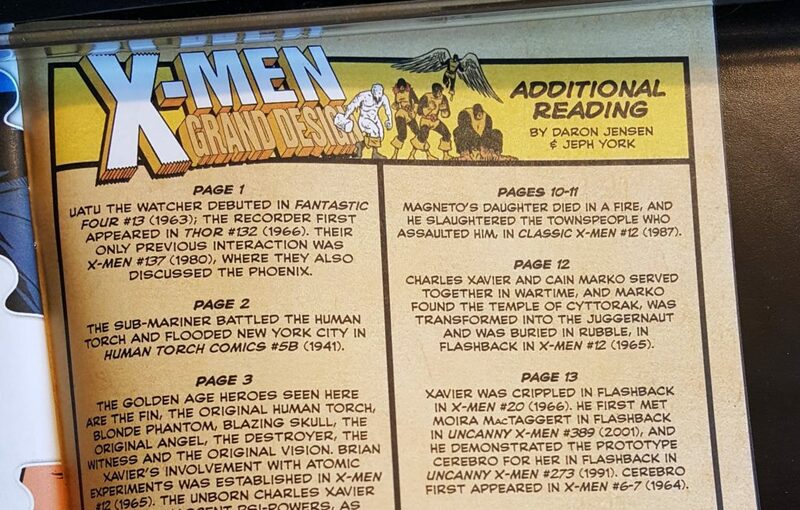 This is a particularly valuable resource in the age of Marvel Unlimited, when fans can finish a read through Grand Design and instantly turn to the original X-Men comics for further reading. I don’t expect it any time soon, but I’d love a similar reduced approach for ongoing comics. It would encourage understanding and Marvel Unlimited adoption, both things that could help Marvel’s comics publishing future.